Football painkillers: Attorneys for retired NFL players in a lawsuit against the league alleging that team doctors dispensed painkillers “‘as if they were candy’ regardless of long-term effects” are seeking permission to depose team owners Jerry Jones and Jim Irsay. Outside of football, Irsay, who inherited ownership of the Indianapolis Colts from his father, is known for collecting famous guitars– including Jerry Garcia’s Tiger, Les Paul’s Black Beauty, and Prince’s Yellow Cloud— and having a history of abusing painkillers. The plaintiffs also have amended their complaint to add a RICO claim, which, among other things, introduces the potential for tripling their financial recovery in the lawsuit. NCAA transfer rules: Johnnie Vassar, a former Northwestern basketball player, filed a putative class-action lawsuit against the NCAA, alleging that the rule forcing transferring students to sit out of their sport for their first year at their new school violates antitrust laws. Vassar claims that he attempted to transfer from Northwestern but was unable to do so, because all of his target schools only would accept him if he could play immediately. In recent years, Northwestern has emerged as a cradle of anti-NCAA legal activity. Triathlon death: A wrongful death claim brought in connection with the drowning death of a competitor in the 2010 Philadelphia Triathlon cannot proceed, a Pennsylvania appellate court ruled, concluding that the triathlete knowingly and voluntarily assumed the risk of participating in the event when, in the course of registering for it, he executed a detailed liability waiver. Cuban baseball-player smuggling: In a federal criminal case against a sports agent accused of conspiracy to smuggle Cuban baseball players into the United States, the government has listed numerous professional players, including Yoenis Cespedes and Jose Abreu, as trial witnesses. For more on this general subject, ESPN The Magazine’s feature on Yasiel Puig is a must-read. Boxing fraud: The defendants– Floyd Mayweather, Manny Pacquiao, HBO, Top Rank, and others– in twenty-six lawsuits alleging that they improperly concealed Pacquiao’s shoulder injury leading up to the fighters’ 2015 bout in order to boost pay-per-view sales admitted that the plaintiffs– fans and bars– had standing to pursue their claims, even as the defendants denied that those claims had any merit. Gambling: West Virginia, Arizona, Louisiana, Mississippi and Wisconsin are asking the United States Supreme Court to review a Third Circuit decision rejecting New Jersey’s attempt to open up sports gambling in its state. The five states, together, filed an amicus brief in support of New Jersey’s cert petition (formal request that the Supreme Court allow them to appeal the Third Circuit’s ruling), arguing that the manner in which Congress has regulated sports gambling is unconstitutional and threatens the balance of power between the federal and state governments. In an unrelated story, daily fantasy leaders FanDuel and DraftKings announced a merger agreement this morning. Secondary football ticket market: Under pressure from state regulators, the NFL agreed to end its league-wide imposition of a price floor on game tickets sold on the secondary market that had prevented the resale of tickets at prices below face value. The agreement does not apply to tickets for the Super Bowl and Pro Bowl, nor does it prevent teams from acting “unilaterally” to enforce price floors, meaning that the practice could continue. Campus police records: The Indiana Supreme Court affirmed a trial court’s dismissal of ESPN’s lawsuit seeking the University of Notre Dame Police Department’s incident reports involving student athletes, deciding that the ND Police Department is not a “public agency” and thus cannot be compelled to produce the requested materials under the state’s open records law. What does Adam Schefter’s publication of Jason Pierre-Paul’s medical records mean for the future of athlete health information? In the context of yesterday’s Jason Pierre-Paul fireworks/amputation news, my latest post for TechGraphs asks whether the increasing use of wearable sports technology could have negative consequences for athletes, and, further, whether athletes may be effectively powerless to avoid those consequences. 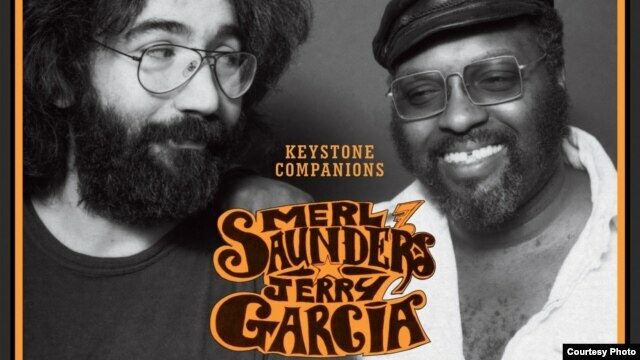 For two nights in 1973, frequent musical partners Merl Saunders and Jerry Garcia met for their regular gig at the Keystone in Berkeley, CA and really locked it in. The full recordings of both nights now are available for the first time in a four-disc box set. What do we call it when two top musicians– one an icon, one underrated– come together outside the brightest lights and get down to just performing music? As an initial, analytical matter, one can’t help but mention the Traveling Wilburys, but the feel’s all different here. This isn’t a tongue-in-cheek supergroup experiment shrouded in quasi mystery; rather, it’s two professional musicians doing work as such in a Bay-Area coffeeshop. Top-tier talent playing almost nothing but popular and classic tunes: The world’s best cover band. Over the weekend, I decided it was time to start transitioning my music listening into the autumnal mode, and rather than go straight to Harvest on the vinyl, I decided to ease into things with Jerry Garcia’s second solo album, a 1974 release known as Garcia (Compliments). The version I have comes from a Garcia boxed set, which means it has a number of bonus tracks appended to those songs that comprised the original release. Like a lot of Garcia’s solo work, there are plenty of cover tunes on this album, and while I generally like the release more than the two-star rating it received from AllMusic, there’s one song in particular that’s stuck out to me since my first listen. The tune is one of the bonus tracks, an R&B-type cover entitled “(I’m a) Road Runner,” written by the hit-making Holland-Dozier-Holland Motown songwriting team, and first recorded by Junior Walker and the All-Stars in 1965. Of the versions I’ve heard, I like Garcia’s the best– it’s the most complete, to my ear– but Bo Diddley got ahold of it too, and it’s his version that prompted this post. Two things you might think would happen in this space are not going to happen. 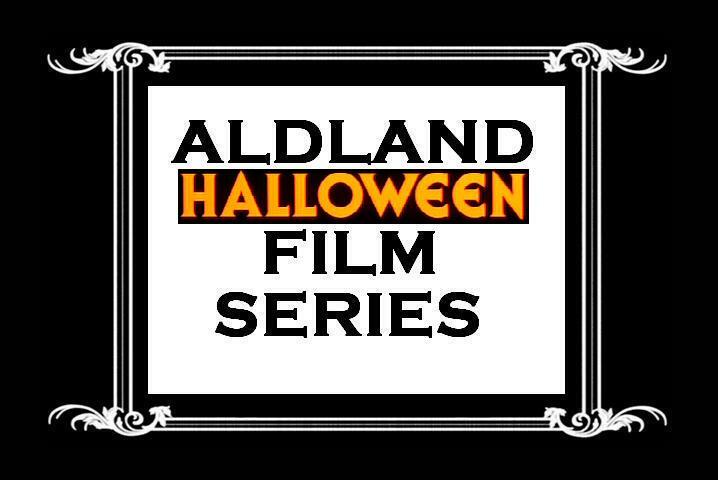 First, this being the continuation of our Silent Film Series, you might expect discussion of a video clip best viewed without sound, since that’s the premise of the Series. Second, this being a post about Halloween, videos, and music, you might expect me to go with this, which, if this was a Friday, is what I would’ve done. Plenty of people have made good listening suggestions for Derby day (HT: @amention, who also gave us yesterday’s timely jam), but two of the musical selections I most associate with horse racing are strikingly mediocre offerings by two top-tier musicians. First up is Stephen Stills’ Thoroughfare Gap, a 1978 release that is the lowest-rated of all Stills’ albums on AllMusic. Usually thorough (sorry), AMG’s review is a mere two sentences long: “A rather poor attempt of Stephen Stills’ to adapt to the disco/dance craze. Includes lame covers of Buddy Holly (‘Not Fade Away’) and Gregg Allman (‘Midnight Rider’) along with the semi-hit title track.” Click here for a live take of that title track in which the Texan sounds alternatively tired and British, although his acoustic guitar is expectedly dexterous. Jerry Garcia’s 1982 Run For The Roses received a few more lines in its AllMusic review, but it really isn’t any more glowing, beginning by noting that it’s the last release for the Jerry Garcia Band and “sadly, it is also Garcia’s most lightweight effort as a bandleader,” and including adjectives like “marginal,” “impotently executed,” “underachieving,” and, with respect to the cover art (pictured above, right), “disconcerting.” Like Thoroughfare Gap, the title track is the best-regarded selection on Run For The Roses. Here‘s a lazy live version from an undated JGB performance. What’s playing in the background of your Derby party? Yesterday marked the close of the first month in ALDLAND, so it’s time to make like Texas A&M and up the ante. August is the only month in the American calendar without holidays, meaning that it’s a little extra special for those who celebrate birthdays this month. If there ever is to be a commemorative holiday in August, maybe it should be for Jerry Garcia. The music legend was born on August 1, 1942, and he died on August 9, 1995.